Los Angeles Airport Police stopped a man at a checkpoint on suspicion that he was carrying a firearm. A video shows authorities investigating a white truck. Multiple weapons could be seen in the streets as the officers searched the vehicle. The man in question was detained. It turns out that the man's firearms were replicas. He happened to be a World War II enthusiast. Several inert items were discovered. One turned out to be an old rifle replica. 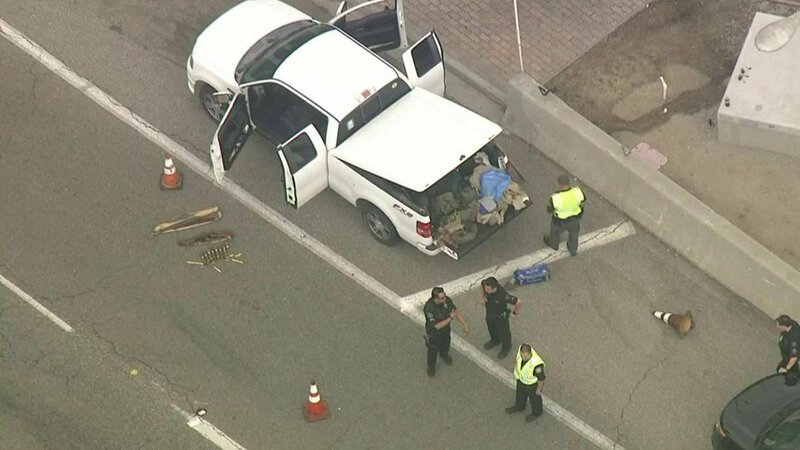 Airport Police Department Officer Rob Pedregon said the police decided to search the truck after they say the man inside made suspicious statements. The incident affected traffic at LAX for a couple of hours. The bomb squad was sent in to assist with the situation. It was, of course, a case of false alarm. Authorities later announced that the area has been cleared. The man was questioned but was not arrested after authorities have established neither he nor his objects of interest posed a threat to society. The man was released soon after the investigation at the scene. Mmm. Dont tell me a nazi ww2 enthusiast ? This is the death of freedom! Website is a touch laggy due to all the 3rd world intel services trying to probe readers webconnections here so in future its best to click add comment TWICE at the most… True story.